PAILIN CHONGCHITNANT was born and raised in Thailand. After attending the University of British Columbia, she made her way to Le Cordon Bleu culinary school in San Francisco, and began cooking for both Western and Thai restaurants. 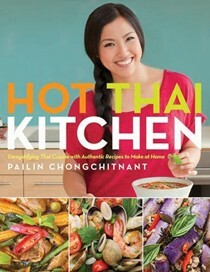 She is the creator and host of Hot Thai Kitchen, a popular cooking show on YouTube, which takes an educational approach to Thai cuisine.